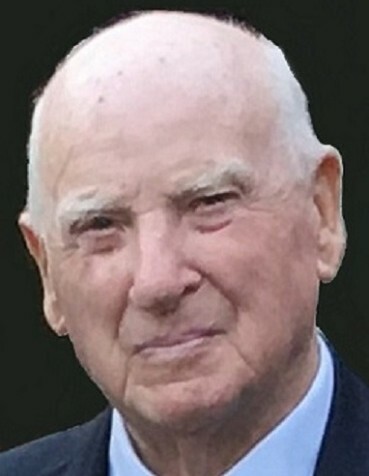 Jerome B. Vick, 91, of Wilson, died on Saturday, March 30, 2019. Funeral, Monday, 3:00 PM, Wilson Memorial Service, followed by a time of visiting and sharing. Interment, Evergreen Memorial Park, beside his wife, Susie Gardner Vick, who died in 2010. He was a retired merchant and had served in the U. S. Navy. Surviving is his son, Jerome Vick (Diane); grandchildren, Charlotte Vick (friend, Ken Sikes) and Linwood Vick (Tammy) all of Wilson; great-grandchildren, Grayson, Zeke, and Eli Ferrell and Hannah Ferrell-Jones and Emma and Wood Vick; daughter-in-law, Sharri J. Vick; and his caretakers, Joanne Whitley, Gary and Verne Battle. He was preceded in death by a son, Lenna T. Vick in 2007. Memorials are suggested to Hornes United Methodist Church, 145 W. Hornes Church Rd, Wilson, NC 27896-6051.